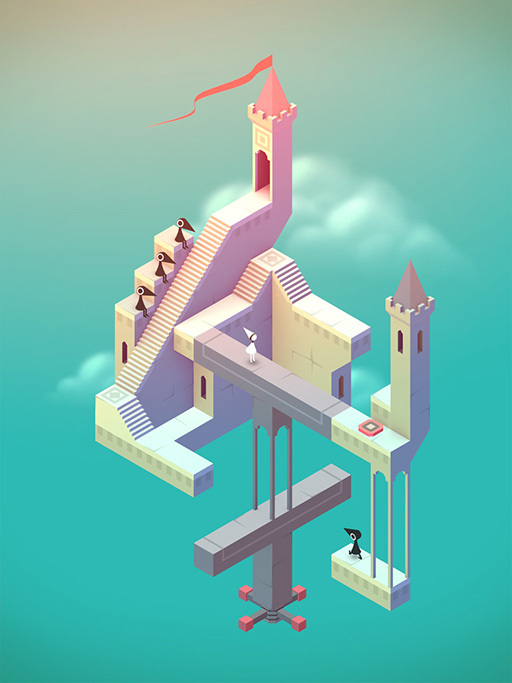 Monument Valley has sold tens of millions of copies to become one of the most popular iOS games ever. Five years ago today, however - on the day of launch - its creators had no idea how successful the game was going to be. Truth be told, they were just hoping that it wasn't going to lose money like its predecessor, Whale Trail. The game is an elegant puzzle where you guide a young princess, Ida, through a maze of ruined monuments. You manipulate the landscape to let Ida get from place to place, using optical illusions to your advantage – as in Monument Valley, when walkways appear to line up, Ida can walk along them – even when you know that they really don't. It was created by London-based Ustwo Games - an offshoot of digital agency Ustwo. It's spawned a hit sequel, a lot of fan art and even made a guest appearance in the hit Netflix show House of Cards (ok, which is a bit awks now). For these videos we interviewed executive producer Dan Gray (now head of studio), designer and artist Ken Wong (now running his own studio Mountains, creator of Florence), director of games Neil McFarland (now running First Light Games) and technical director Peter Pashley (now head of development). In these films they explain how the works of MC Escher and the architecture of ancient temples inspired both Ken's visuals and way the game is played. The team also detail how they designed a game that's not aimed just at 'game players' and how they refined its design through extensive testing with real users. The team also revealed their favourite things about the game and its creation in the video below. Monument Valley is available from the Apple App Store or the Google Play Store for £2.99. On its fifth birthday, its creators will be discussing its creation on a Twitch livestream.